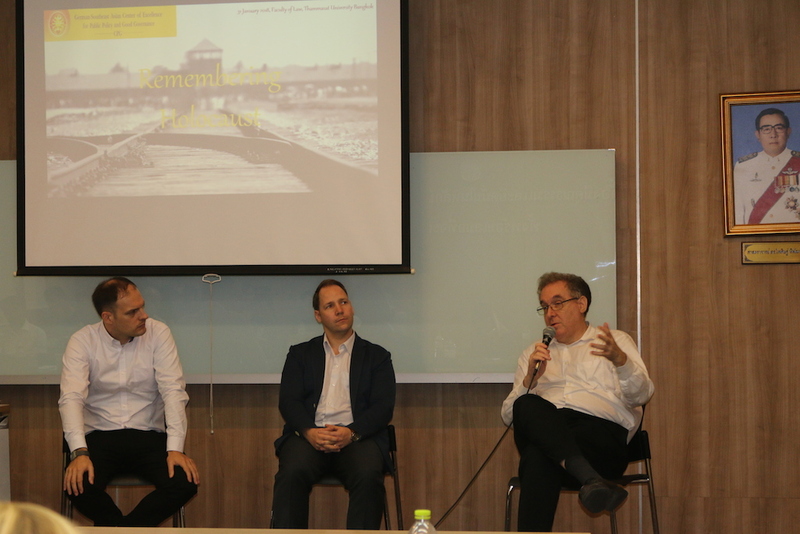 On January 31, 2018 CPG hosted a seminar “Remembering Holocaus“, about historical genocides, at the Faculty of Law of Thammasat Univerity Bangkok. 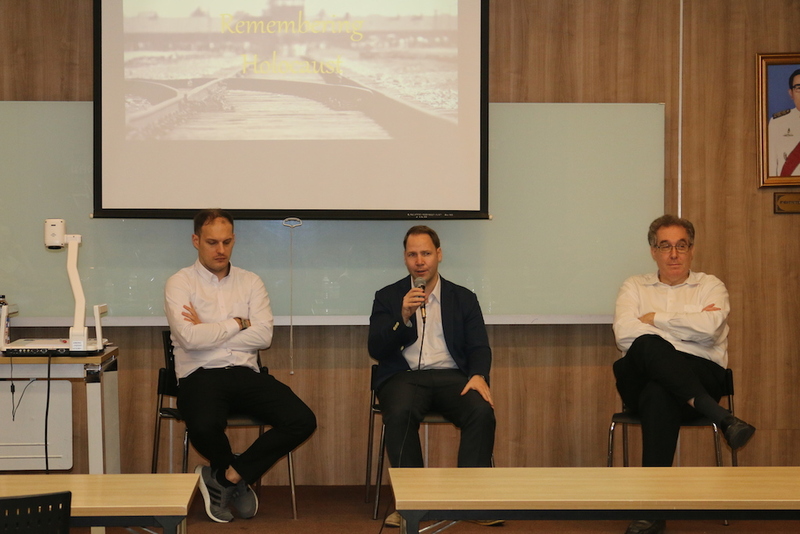 As speakers, CPG was pleased to welcome Felix Pülm, German Department, Silpakorn Univerity, Benjamin Ivry, The Thammasat University Libraries and Daniel Polomski, Institute of Human Rights and Peace Studies, Mahidol University. 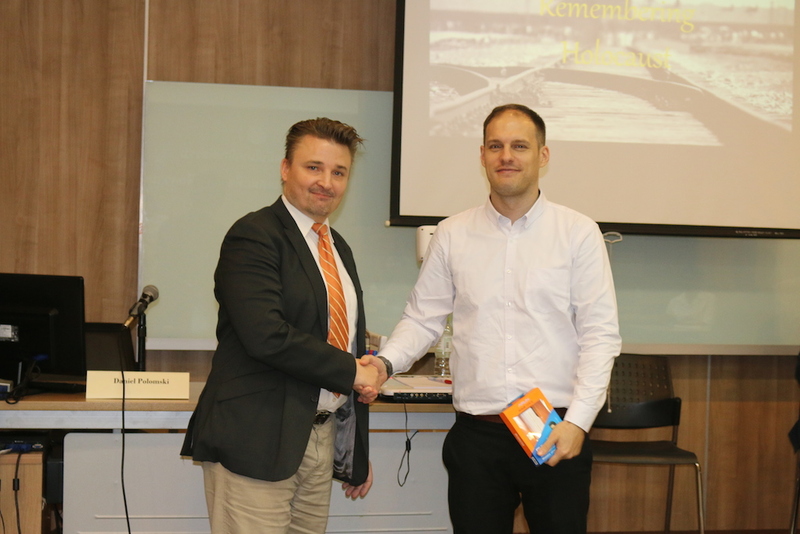 The first speaker was Felix, who gave a detailed presentation on the topic “Memory Culture on World War II and the Holocaust in Germany – Turning Points and Current Challenges.“ The second speaker, Benjamin, talked about “Reading Holocaust Literature in Asia“. 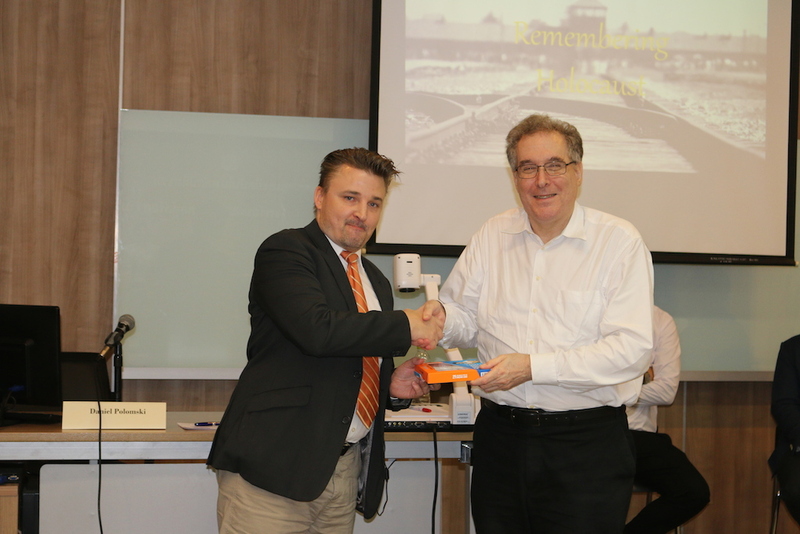 He presented an array of literature on the Holocaust and pointed out which ones were available at the Thammasat library. The last speaker of the day was Daniel. 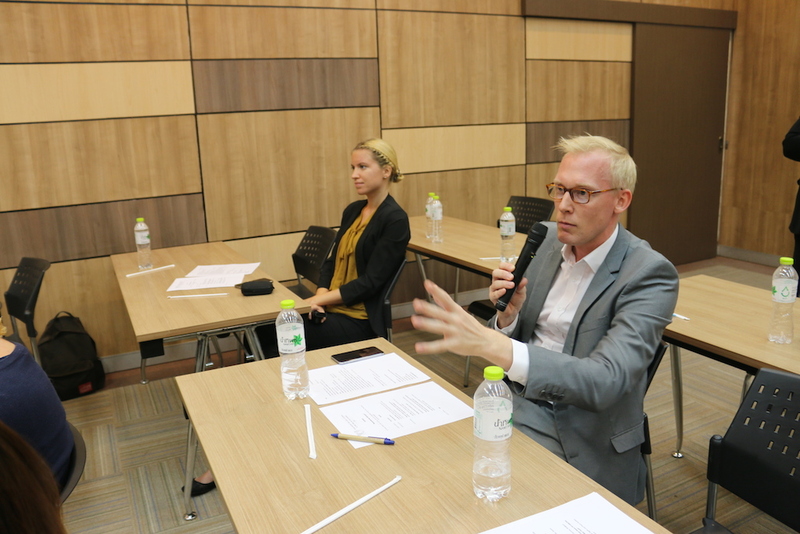 He talked about “Refusal Or (Re-) Construction: The Current Status Of Collective Remembrance Among Urban Cambodian Youth“. 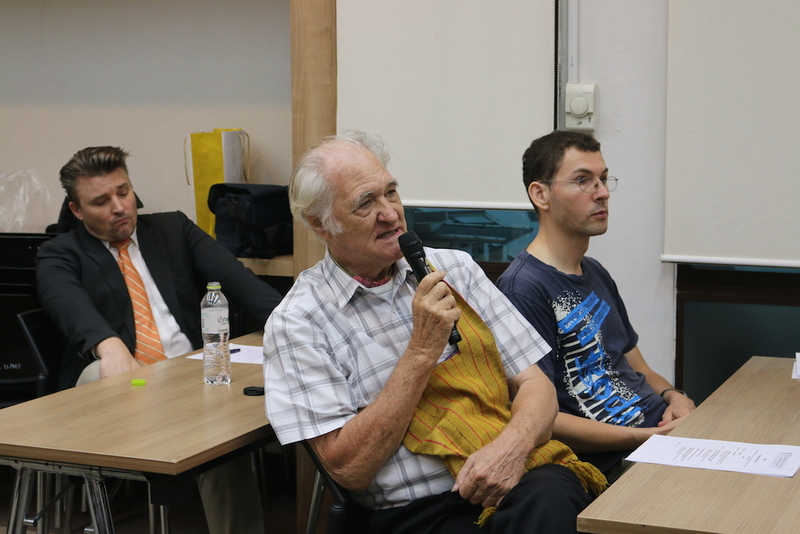 Daniel noted some of the difficulties between generations in interpreting and understanding the legacy of the Cambodian genocide between 1975 and 1079, during which an estimated 1.5 to 3 million Cambodians died or were killed by the Khmer Rouge regime. 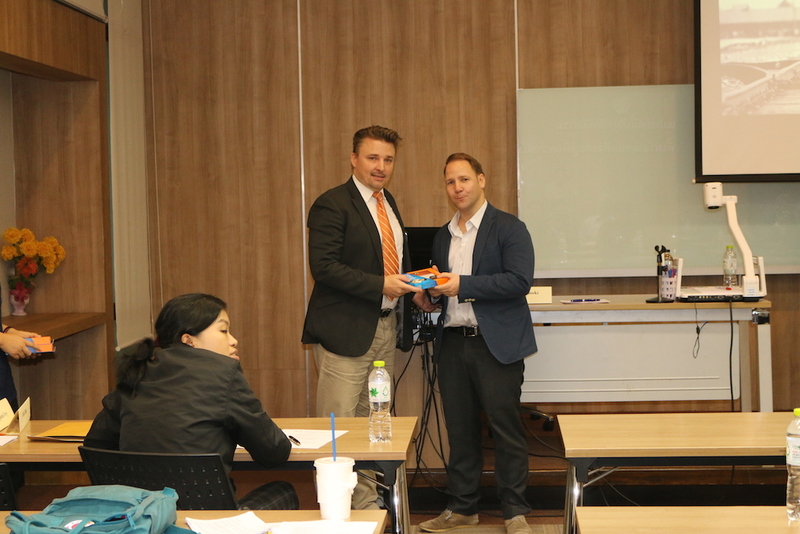 After an engaging discussion with the audience, CPG Director Henning Glaser concluded a very successful and interesting seminar with his closing remarks.